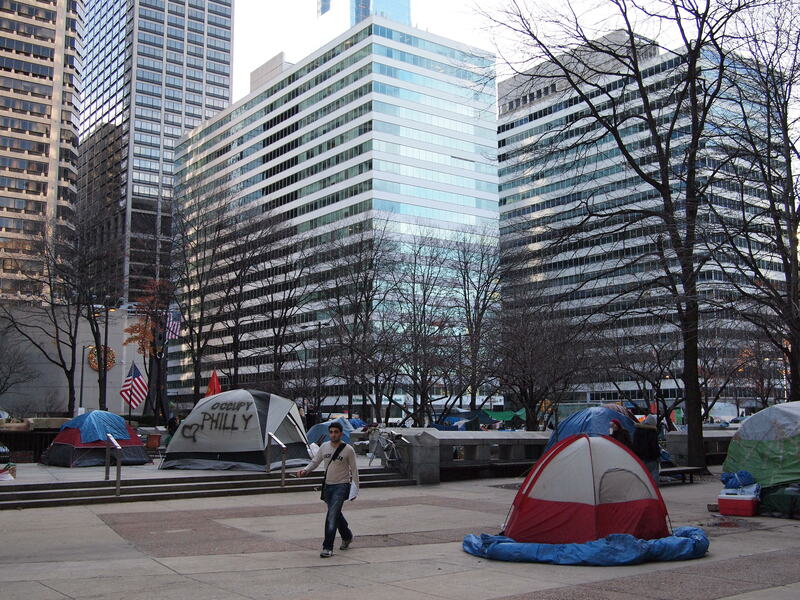 Two years ago, the Occupy Philly movement on Dilworth Plaza. Shortly after this photo was taken, the tents were removed so construction could begin, 27 November 2011. 06 Nov	This entry was published on November 6, 2013 at 8:35 am and is filed under Center City, Philly Signage. Bookmark the permalink. Follow any comments here with the RSS feed for this post.